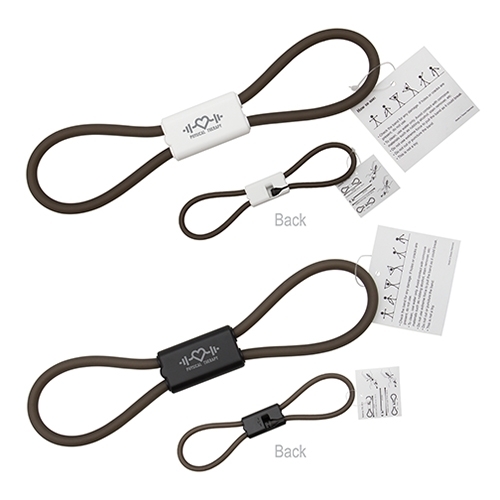 The durable and lightweight resistance band is a great solution for fitness on the go. This multi-function accessory is easy on the joints and targets muscle groups with controllable, constant tension. A perfect addition to healthy living and wellness promotions. 10 1/2" x 2 5/8" x 9/16"